Who is an idiotic African? With the above thoughts of an idiotic African and hostile world, you would discover that ignorance plays a big part though brainwash is one big aspect that most African are subjected to before there are made to believe that being a black or African is a curse and inferior. And with my stay in Europe, I can testify that being African or black is a statement that gets you an automatic pass of being called an undocumented immigrant, drug kingpin or just an uncivilized barbarian taught civilization from society and that’s why most Africans end up bleaching their skin in a bid to fit. Africa is our home while being black is our identity, let no one belittle or brainwash from taking pride in being a proud African, and it is of great significance to understand that Africa as a continent has not fared well in terms of social-economic and infrastructure development, but that does not mean we all have to disrespect and belittle our motherland to others like the idiotic African, Africa is just a 'dark continent', but to patriot Africans 'Africa is a paradise' and home to many unique cultures and tribes. 'Black is beautiful ‘is not just a random statement, but a reality to those that choose to see and believe the beauty that lies in the black complexion and the African continent. And for those that choose to see the negative in the complexion and African continent, I respect they chose and I believe they opinion is not subject to any debate because if debated upon then we shall give room to ignorant concepts that are motivated by hate and pride. African indeed in the past has had its short comings, but we cannot judge or enslave they people based on the past. To sum-up with a statement by a blogger who said, ‘the biggest ignorance that the world has faced is its ignorance about the African continent and its rich culture’. Quiet well the world seems to know about the mineral resources Africa possesses, but yet underestimates its people. 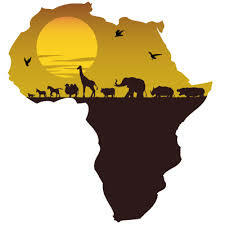 I believe the world can learn a lot of lessons from the Africa continent. For Africa is the real deal.